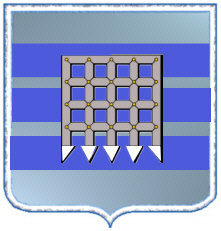 Coat of Arms: A silver shield with a portcullis and three blue bands. Motto Translated: I will defend my right. Spelling variations include: Reynell, Reynolds, Reynold, Reynalds, Reynell, Renaud, Renaut, Renouf, Rennard, Renals, Rennell, Rennels and many more. First found in Somerset where they were granted lands by William the Conqueror after the Norman Conquest of England in 1066. 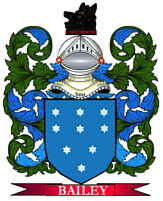 Some of the first settlers of this name or some of its variants were: Henry, Samuel, Thomas Reynold settled in the Barbados in 1688; Christopher Reynolds settled in Virginia in 1622; Nathaniel Reynold settled in Salem in 1630. 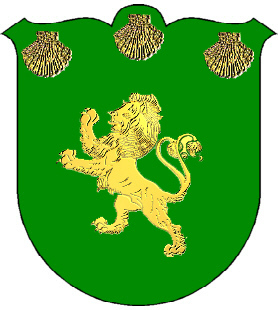 Green with a gold lion and three gold escallops. Crest: A Stag grazing on a mound. Spelling variations include: McRannell, McReynolds, Reynolds, Grannell, Magranill, MacGrannell, MacRaghnald, MacRanel, McRanel, MacRannal, MacRannel, MacRanell, MacRanall and many more. First found in county Connaught where they held a family seat from ancient times. 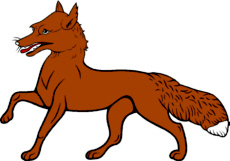 Some of the first settlers of this name or some of its variants were: Christopher Reynolds, who came to Virginia in 1622; Nathaniel Reynold, who settled in Salem in 1630; Robert Reynolds, who settled in Salem in 1630 with his wife Mary and his four children. REYNOLD (British). "Power power" (Germanic). REYNOLDS (British). "Son of Renold."